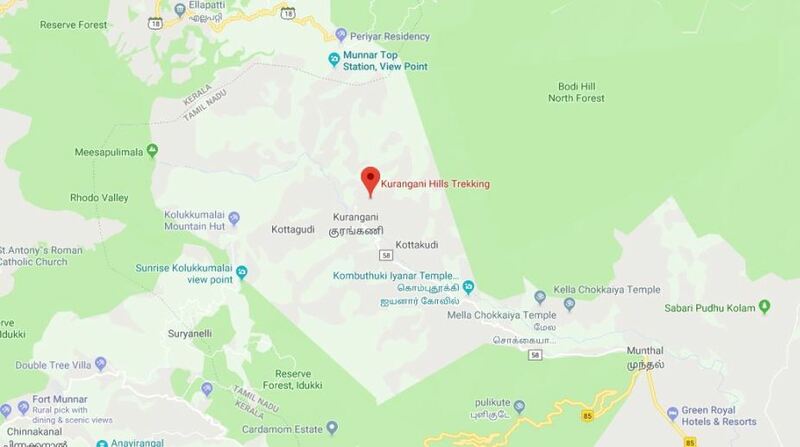 Nine trekkers have died in a forest fire on the Kurangani Hills in Tamil Nadu, the District Collector said on Monday. A rescue operation with the help of the Indian Air Force (IAF) helicopters has been underway since Sunday. A total of 27 trekkers were rescued from the fire in picturesque Theni district, some 520 km from Chennai. The trekking group of eight men, 25 women and three children had camped at a place up in the hills on Saturday night. They were supposed to return on Sunday. Earlier, in a tweet, Union Minister of State for Finance and Shipping Pon Radhakrishnan expressed grief and shock at the loss of life of those who were caught up in the blaze. The Minister said he was praying for the fast recovery of those who were injured. He also thanked Defence Minister Nirmala Sitharaman for deploying the IAF team in the rescue effort. According to a Tamil Nadu Fire and Rescue Services official, the operation was expected to be over by Monday afternoon. Speaking to IANS, District Collector Pallavi Baldev said the operations were continuing and the trekkers were being brought down by the rescue team members. A temporary helipad has been set up at the Bodi foot hills. The injured have been admitted in hospitals in Madurai and Theni, she said. The night climate was generally chilly while efforts were afoot to reach the stranded trekkers caught up in the blaze, the fire official added. State Health Secretary J Radhakrishnan said six of the rescued admitted in a Madurai hospital have serious burns. The IAF commando team had flown in from the Sulur Air Base near Coimbatore late on Sunday and climbed up the hills. 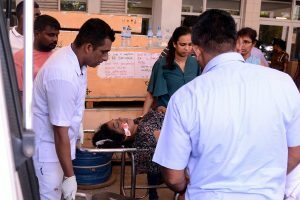 Sitharaman had confirmed on Sunday that the commandos deployed in the rescue mission would carry medicines and provide medical assistance on spot. Having access to advanced communication facilities, the IAF team was also deputed to check the landing facility for helicopter. They decided on the best ways to evacuate those stuck on the hill, including the injured. Speaking to the media on Sunday, Baldev had said that 24 trekkers from the Chennai Trekking Club and 12 from Erode and Tiruppur had gone up the Kurangani Hills. The adventure was part of the Woman’s Day activity that was celebrated on Thursday. A Tamil Nadu Forest Department official had said that the organisers had not obtained any permission for the trekking mission.